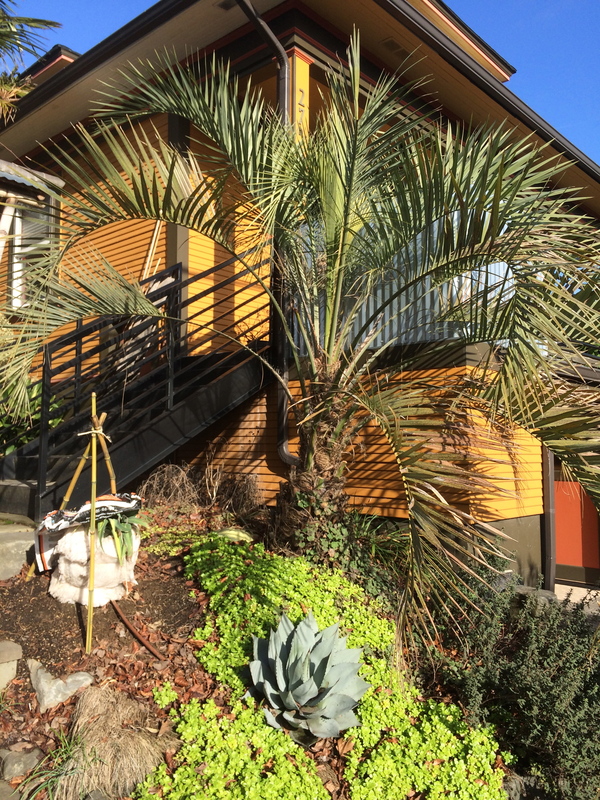 Published January 20, 2015 at 2448 × 3264 in Palms I Have Grown: A Look into Trachycarpus and its Intimates. Butia capitata – My only pinnate, feather type, palm. This one has been here for 5 years. It is in a very protected south facing spot. I provide it with no additional winter protection. See my earlier posting on this Butia. To the left wrapped up and insulated is a new planting of Beschorneria yuccoides ‘Flamingo Glow’ I successfully protected during an extended cold spell. Now, bulked up, it has been doing fine currently withstanding the coldest extended period that we’ve had since this photo, Feb. ’19, unprotected.